Chrome 31 for Android –available as beta at the time of this writing- brings home-screen web apps to the Android world following Apple’s approach: through <meta> declarations and with user’s intervention adding the website to the Home Screen. Google has named the full-screen ability as “full-screen app mode” and the ability to add the icon to the home screen as “application shortcut”. While today Chrome supports some of the Apple’s proprietary meta tags for compatibility purposes, Google suggest the usage of the vendor-free versions for future compatibility. If we mix the full screen app mode with Application Cache, we can provide a full offline app experience without creating a native Android app package. A similar approach was available before on Firefox on Android with Open web apps and on the Kindle Fire series with the recent Amazon Web app platform. Chrome now has the “Add to homescreen” option in the menu that allow us to add a shortcut to any URL. Even if we don’t want to create a full-screen webapp we should update our website’s icon to match Chrome’s recommendations because the user can add any website to the homescreen, even desktop-optimized content. Chrome will make use of the apple-touch-icon and apple-touch-icon-precomposed link (Apple’s proprietary declaration for home screen icons) but recommends the usage of the standard “shortcut icon” link with a square size of 196×196 (the recommended size for multiple resolutions). If it’s not defined on that size it will take 128×128 or apple’s icons. If we provide both shortcut icon and apple-touch-icon declarations, Chrome will use the shortcut icon so we can have a multiplatform web app providing both iOS and Android. If you want to check all the available icon sizes on iOS, check Programming the Mobile Web or this blog post. Remember: we should define the icon even if we don’t want a full-screen webapp because the user can add any website to the home screen. If you have an icon for iOS you may be ok for a while, but you should add the high resolution 196px version if you want to support xxhdpi devices, such as Galaxy SIV. To get more information about Android iconography, check the official icon design guide. If you don’t provide a high resolution touch icon, it will use your old favicon inside a paper bigger icon (next figure). It nicely uses the most prominent color of the small favicon to effects on the icon. IMPORTANT #1: The icon will be available on the Home Screen and not on the Applications menu. This is a restriction from the Android OS itself. IMPORTANT #2: This mechanism will not work on Chrome on iOS because of OS’ restrictions. The Web app icon will be defined by the user when confirming the icon on the home screen but it will be based on the <title> element on your website. There is no way to define one title for SEO and the browser and a different name for the home screen icon. On iOS, Apple supports an undocumented meta tag (apple-mobile-web-app-title) that is ignored by Chrome at the time of this writing. Nokia Browsers for Symbian and MeeGo (RIP both) follow a similar approach. There is no reload button, so everything should be managed by the app. If we change the contents to get the updates the user will need to wait until it’s removed from memory by the OS, to remove the app from the Recent App list or we can provide our own reload button. It’s important to highlight that we can debug webapps using the same remote inspection tools available for Chrome on Android. In terms of HTML5 APIs, security and cross-domain policies, a full-screen context is exactly the same as running inside Chrome. There is no official way to detect if your HTML is being executed in browser mode or app mode (full screen). The iOS navigator.standalone Boolean property is not supported. However, we can use the following quick polyfill to detect whether we are in app mode or not. Please do it before the onload event, so you make sure you are not in browser mode after a page scroll (where the toolbar is also hidden). This snippet asks about the available viewport height and compares it with the device height to see if the URL bar is on the screen. In the Android OS, when we open a Web app it appears in the Recent Apps list as “Web app” (not our page’s title) and it look in a different spot than Chrome. However, the process used by both Web apps and the browser is the same, so if we close the Chrome process it will also close all Web app sessions. There is no way to define the image to show on the recent app list; Chrome will take a snapshot of the app. This is particularly useful for OAuth login mechanism, so we can use Facebook Connect for example to log the user in without leaving our webapp context. If we want to force a link to open in Chrome, we need to use the standard target=”_blank”. From a webapp we can communicate with other native apps using standard Android Intent URLs, such as opening Maps or making a call. 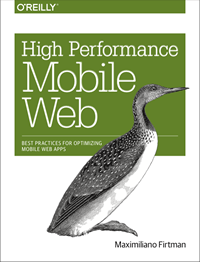 If you want to know more about this, check Chapter 15 of Programming the Mobile Web. All the links will have a contextual menu (after a long-press gesture) with a “Open in Chrome” option. On the other hand, Chrome-based webapps have the ability to go back in history using the back soft/hard key on Android, while on iOS there is no way to do that. Chrome also keeps the current URL (particularly useful for single page webapps) between sessions, so if the user comes back to the webapp a year later it will keep it current state. On iOS every time you re-open the webapp it load the first URL from scratch. Other difference appears when opening external links: by default on iOS any external HTML (through elements) will open in Safari and not inside the Web app context. On Chrome-based webapps, any external HTML is opened inside our webapp context but alerting the user that is now in a different domain as you can see in the image above (Facebook example). On Chrome webapps, the storage context is the same as in Chrome. Therefore, localStorage, SQL Storage, IndexedDB stores will be shared between the browser and the Web app. On the other hand, on iOS from 6.0 contexts are different so you can’t share data between webapps and websites. On iOS when you quit a web app and open it again it will always be refreshed; on Chrome it will be up to the operating system resources; so if you re-open the same web app quickly it will just restore the previous app context. At this point, a HTML5 document running in browser mode with Chrome or in “App mode” has exactly the same permissions and abilities. Because Chrome Packaged apps are available for other platforms, it’s not clear yet if “App mode” apps will have Chrome app API support in the future or if we will need to package them as APKs. One of the biggest challenges of Web apps is discoverability, so besides asking the user to “install” the app to the home screen on our HTML, a Web app guide or store will be much useful for this problem. This is a great step forward web app development and I hope the Chrome team will enhance the abilities and discoverability of web apps in the future. Any wish for the future? Use the comment section below.